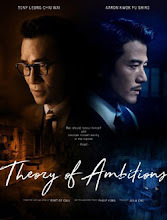 Theory of Ambitions is not about one incident, but about the four great sergeants who exploited their positions to engage in nefarious dealings with with the good and bad alike. They amassed great wealth and ultimately retired as Hong Kong started its anti-corruption initiative. Filming began in November 2017. It is inspired by the story of the Four Great Sergeants of Hong Kong - Lui Lok, Hon Sum, Nan Kong and Ngan Hung who were high-ranking police officers that proliferated corruption. Let us know why you like Theory of Ambitions in the comments section. Please also share these fun facts using the social media buttons below.